It seems that the upcoming Lego Ghostbusters (21108) CUUSOO set will be upon us sooner then expected. At the recent Toy Fair (2014), Lego officially revealed details and photos for the new set. The Lego Ghostbusters (21108) will be available for purchase in June 2014 with a retail price of $49.99. 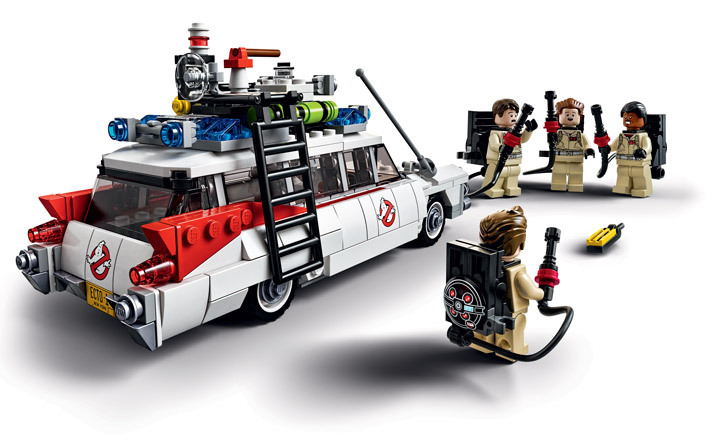 The set will include a very slick looking Ecto-1, and the Ghostbusters themselves: Dr. Peter Venkman, Dr. Raymond “Ray” Stantz, Dr. Egon Spengler, and Winston Zeddemore. The original design was done by Brent Waller, and most of his ideas have been persevered here (except for the Firehouse, which is understandably missing). 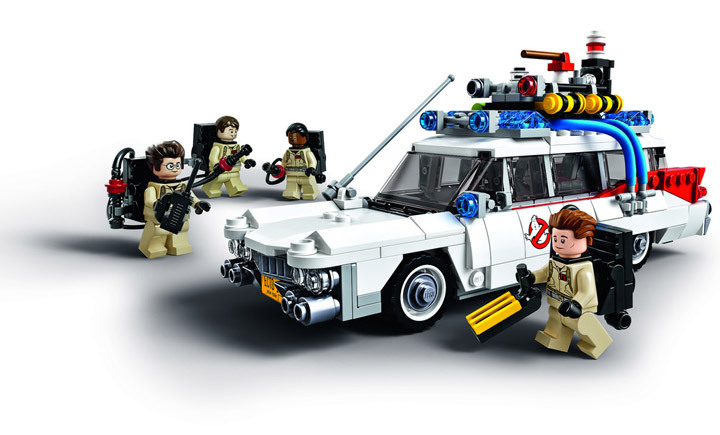 Not only do the Minifigures have an uncanny resemblance to the Ghostbusters, but the Ecto-1 is almost perfect. It features some SNOT building techniques that really help to preserve the iconic look. A few noticable details are the beautiful Lego blue hoses, and the whip accessory in black.